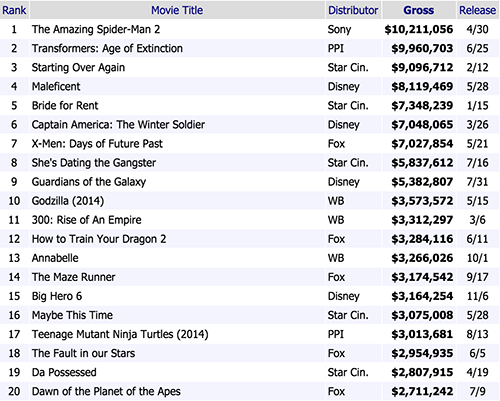 Here are the top grossing films for 2014 as of Nov 12-16, 2014 per Box Office Mojo. Conversion is set at P45 = $1. No data was added for Past Tense, Star Cinema's late November release. Apart from that, this should be the complete Box-Office numbers for 2014. Nov 12-16, updated the list with Moron 5.2 and the once overlooked Third Eye which stars Carla Abellana. Oct 22-26, on its second week, The Trial earned $1,190,148 (P53,556,660). For everyone that asked about Dementia, as of October 5, Dementia earned $114,782 (P5,165,190). The film opened on September 24th. Sep 24-28, Maria Leonora, Teresa which opened on September 17 has so far earned $1,324,490 (P59,602,050). Sep 3-7, The Gifted which opened on September 4, earned $916,485 (P41,241,825) as of September 7th. Aug 27-31, Talk Back and You're Dead earns $1,508,688 (P67,890,960). The amount is not phenomenal but it ensured an ABS-CBN deal for its stars who are now being prepped for a TV series. Aug 6-10, 2014, after almost two weeks in cinemas, Trophy Wife earns a total of $708,010 (P31,860,450). July 16 - 20, She's Dating the Gangster of Star Cinema opens strong with $2,643,070 (P118,938,150) after only five days in cinemas. The film's earnings jumped to $5,837,612 (P262,692,540) as of August 3rd. July 9 - 13, suffering from mostly bad reviews, Overtime earns a meager $22,995 (P1,034,775). June 18 - 22, Maybe This Time caps earning at $3,075,008 (P138,375,360). June 4-8, Maybe Time claims the 4th spot in the box-office list with $2,702,093 (P121,594,185). The movie, which falls closely behind Star Cinema's Da Possessed, is still showing in cinemas. May 28-June 1, the Coco Martin-Sarah Geronimo movie - Maybe This Time entered the box-office list with moderate earnings of P74,014,830. This isn't too bad, however, if we consider that it is currently playing in theaters alongside some of Hollywood's summer blockbusters. On June 4th, ABS-CBN reported that the film has breached the 100M mark. May 14-18, Da Possessed and So It's You both had minor increases in grosses but rankings remain the same. May 7-11, Star Cinema's Da Possessed claims the 3rd spot from Diary ng Panget. Meanwhile, So It's You that opened on May 7th entered the Box-Office list with $424,613 (P19,107,585). As of April 30-May 4, Da Possessed is threatening to dethrone Diary ng Panget with P120,169,125. It is currently ranked 4th in our list of Top Grossing Filipino Films for 2014. April 9-13, Diary ng Panget breached the 100 Million mark, maintains 3rd spot on 2014's box-office list. As of Apr 16-20, not much has changed in the numbers as malls were on holiday during the holy week. April 2-6, Diary ng Panget debuts strong at $1,366,418 (P61,488,810) after only 4 days in the cinema. Mar 19-23, the documentary film about the life of Manny Pacquiao enters the chart. The film earns more than the India-shot love story, Mumbai Love. As of Feb 26-Mar 2, Starting Over Again dethrones Bride for Rent as the biggest blockbuster of 2014 with $7,966,970 (P358,513,650). There was no official result released for MMFF 2013. Unofficially, Star Cinema's Girl, Boy, Bakla Tomboy was said to earn ₱ 429,147,428 while My Little Bossings earned ₱ 393,000,000.
how about "my illegal wife?" According to Abs-Cbn News, the film earned at least 55M. No confirmation from boxofficemojo though. For some reason, the film has not been indexed. bride for rent should be the highest grossing film. So sad it was not shown internationally compared to starting over again and she's dating a gangster. Diary ng Panget, best movie. It should had earned a lot if people watch it on cinema not on youtube. Piracy kills. Diary has had a pretty impressive run considering that the cast wasn't too popular at the time. The book has a huge following. I guess that was a huge factor why it was successful despite the unpopularity of the actors. Actually Bride For Rent was shown here in Australia for a couple of weeks prior to movie Starting Over Again. and I read it was also shown in USA. Kawawa naman yung "Ovetime" ng GMA Films more than 1 millionl ang kinita. Wala na talagang hatak si Ricahrd Gutierrez considerinig na isa sa malaking kinita ng GMA Films ay ang kanilang movie ni Angel Locsin. Kaya pala tamad gumawa ng movie ang GMA Films now kasi flop yung movies nila. The Gifted capped at $1,764,126 (P79,385,670). Just a bit lower than Talk Back and You're Dead. Yes, kumita cxa nasaan ang report...mumbai nga 400k lng nandyan na tapos dementia ala pa..imposible..
yong MUMBAI P488,000 lang ang kinita nasa listahan na, pero ang Dementia wala pa ,bakit? Ekstra is the top-grosser @ the Cinemalaya FF. Naipalabas pa commercially and in abroad. Hindi mangangahas na ipalabas iyan sa abroad at hindi magtatagal iyan sa mga sinehan locally kung hindi talaga kumita iyan. Ang resulta rito ay manipulated, considering na IML is among the big hit in 2012. The source actually has nothing to gain by manipulating results. They do not only show box-0ffice for the PH but other countries as well. Being a fan does not make you right nor an expert. "Dementia" is the 4th among the series of Nora's film that are considered box-office flop. Imagine P4M Gross? 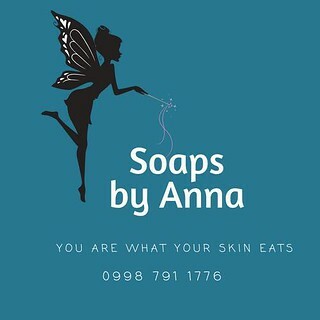 Ano pa ang mahihita ng mga film distributors at mga sinehan diyan? hahahhaah naghahanap k ng Ekstrash mo? e wala nga sa mojo report hahhhaha...at FYI...ang dementia meron..meron ,,,report ang Ekstrash mo wala wala walang report...also Hustisya is topgrosser of Cinemalaya X at Kwento ni mabuti top grosser ng Cine Filipino 2013... huag k ngang hangal dahil wala kng alam hahhha...accdg to cinemalaya mas malaki kinita ng Hustisya kysa sa Ekstrash mo..at first time napuno lahat ng screenings nito. ok...ekstrash.. In terms of local box-office, I think Vilma's Star Cinema films have always done well. Ekstra is an exception and cannot be taken against the actors as the market for quality indie movies in the PH isn't that big yet. Nora's movies, on the other hand, are always well received by critics. As I have always said, box-office is not a gauge for quality so all the fighting based on that alone is pretty shallow. Both women have achieved a lot and are not even competing with each other. Fan wars are so 1979 so let's just enjoy, appreciate their movies, and be glad that two of the best actresses local cinema has produced are still around and making movies.